My colleague, let’s call him John, had a bit of a health scare. Even he would agree he was starting to get a bit long in the tooth, but he was very active and as successful as ever, so he wasn’t expecting this. He realised he couldn’t keep up the pace, but he didn’t really need to as the online part of his business was doing very well. So John explained to all his clients his health situation, that he would need to reduce his work load, and consequently had to double his prices in the new year. The last point, having decided what he wanted, and being prepared to walk away if he didn’t get it placed him in a very powerful bargaining position. Of course he is now wondering why he didn’t do this earlier. I’m sure you feel sorry for John. He hasn’t been able to reduce his workload. Perhaps you have some suggestions for him for 2017? 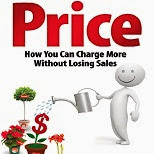 Get more Pricing Tips at www.IncreaseYourPrices.com.